The images in Rocky Schenck’s second book of fine-art photographs may possess a commonality in the feeling of enigma that they evoke in the viewer, and they certainly demonstrate a wide-ranging vision. 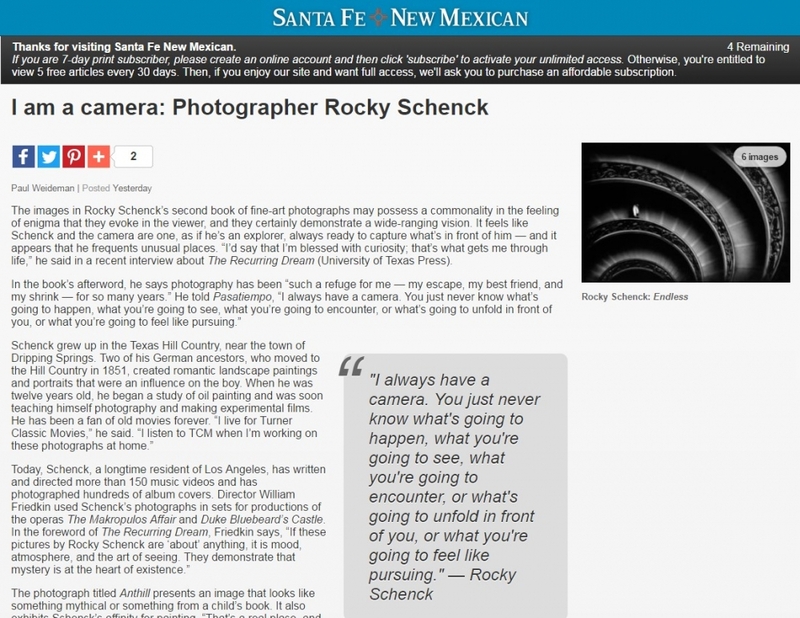 It feels like Schenck and the camera are one, as if he’s an explorer, always ready to capture what’s in front of him — and it appears that he frequents unusual places. “I’d say that I’m blessed with curiosity; that’s what gets me through life,” he said in a recent interview about The Recurring Dream (University of Texas Press).